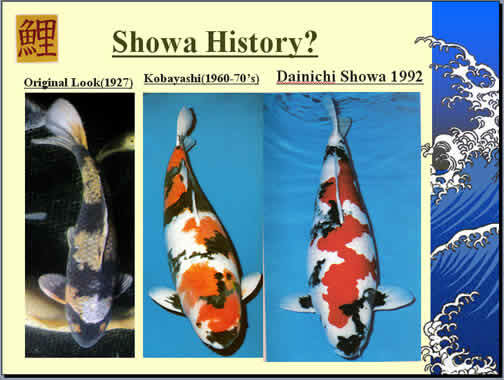 In Exercise 4, the sumi in Koi A shoulder is not sharp enough, hi present on the pectoral fin as well. Though the shine of B is better than C, the body and sumi of C (especially the mouth part) made C the winner. In exercise 5, the sumi of B body is overwhelming, C has marutan, white shouder and sumi on mouth part made it a winner. The head of A is a little empty and dotted sumi on base of dorsal fin made it a loser. 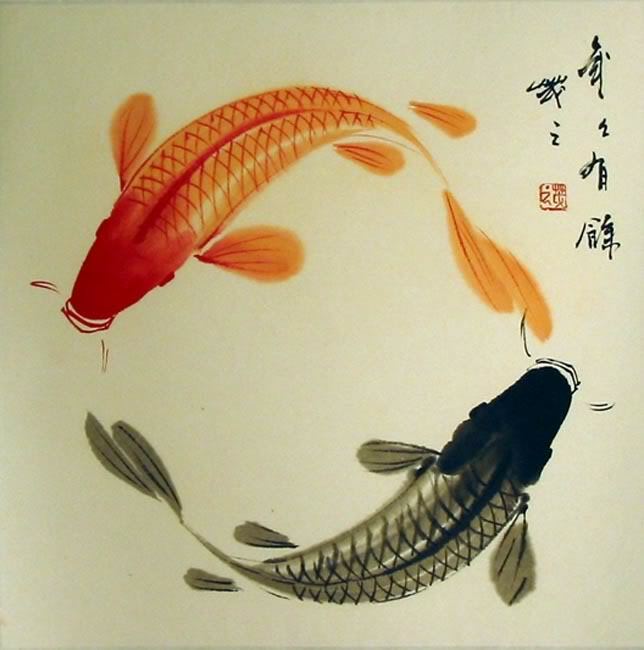 Koi fish is a symbol of strength, courage, and individuality. Generally, Koi fish symbolism came from the Chinese legend of the Dragon Gate where the Koi has triumphantly swam up a waterfall and transformed to a dragon afterward. This is why Koi has become a favourite icon as it stands for a lot of things. 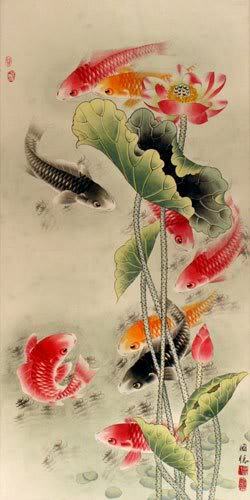 The common notion of a good number of people is that Koi stands for good fortune, prosperity, riches, or luck. This comes from the Chinese's belief that seven - gold Koi will bring good luck to the household and the Dragon Gate legend itself. For the Chinese, Koi symbolizes success, exactly what it had when it reached the top of the top of the waterfall and became a dragon. 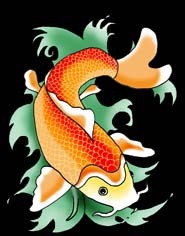 One of the Koi fish symbolism is masculinity, masculine strength, or strength in character. This is because the Japanese believe that a true man is courageous. He shows no fear and is able to face challenges, no matter how hard they are, just like the Koi's reaction when a fisherman already holds it captive. 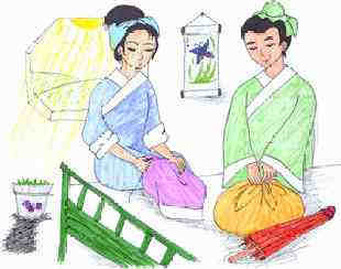 This symbolism even got so popular that it is already used as an icon for the annual Boys' Day Festival in Japan. 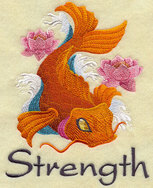 Other traits Koi fish stands for are determination, perseverance, and ambition. 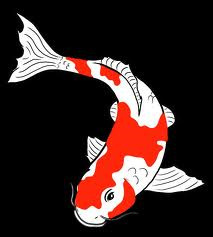 This is because the Koi has persevered and worked hard to overcome a great obstacle (the waterfall) in order to achieve its goal, which is to be a magnificent dragon. 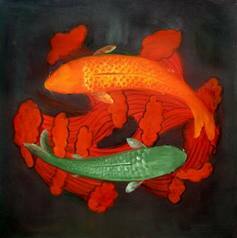 Another notable interpretation for the Koi fish relates the legend to independence and individualism. The fact that the Koi swam against the current and even up the waterfall could be seen as non-conformism and willingness to go against the established norm. The triumph of the fish to go up the waterfall can also be seen as a symbol and encouragement to surpass expectations and to reach the impossible, while the actual act of going against the current could be seen as a form of bravery. Apart from the legend, the direction where the Koi fish is swimming has already been interpreted by enthusiasts and feng shui experts. 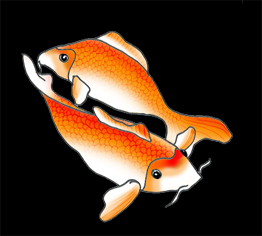 For most, when a Koi is swimming downwards, it means that there are struggles and hardships to overcome. However, when the fishes start swimming upwards, it means that the obstacles and challenges are already surpassed. 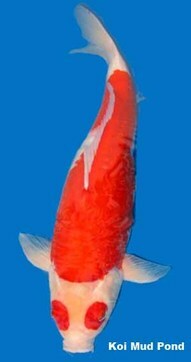 Gosanke, or "three families" refers to the three varieties of koi fish from which all koi were bred. From these three lines come the koi fish of today. 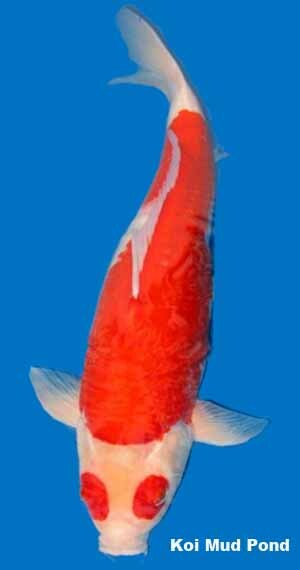 The koi fish breeders of Japan meticulously worked over 300 years to create beautiful koi fish that are also called "living jewels." Legend has it that a rice farmer found a black carp swimming in the rice patties that displayed some red color. After years of careful selective breeding we now have some of the most colorful and gracious creatures on earth. Never before in history have we had the opportunity to indulge in the pleasure that comes with watching koi of the magnitude that is available today. 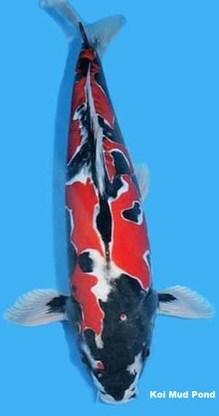 Some koi even have the appearance of being dipped in metallic paint or encrusted with crystals that make them sparkle as the light reflects off their scales. 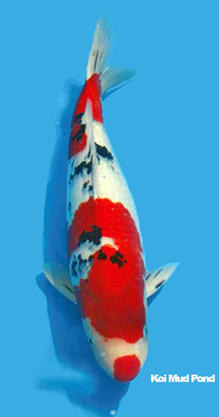 White/shiro koi with red/hi markings. Red/hi and white/shiro markings on a black/karasu (whole body) background. Red/hi and black/sumi (markings) on a white/shiro background. 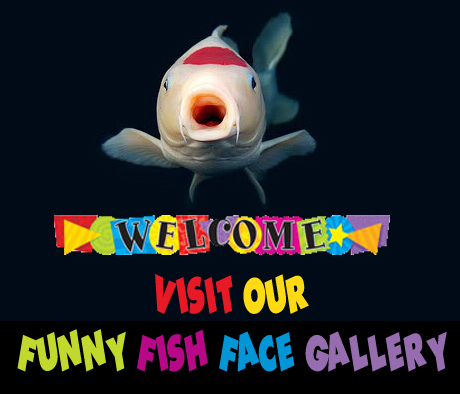 Visit our koi art gallery.